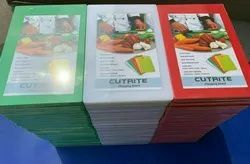 Providing you the best range of cutrite chopping boards, cutting boards, cutrite chopping board, pe rod plastics and white plastic chopping board with effective & timely delivery. POLYRIB Polymer composition Cutting Board can be used on Hand or Power operated Upper as well as Bottom Clicking Machines. We are engaged in manufacturing, supply, and export of best quality Chopping Board, that are widely preferred by leading hotels, restaurants and canteens. Dexterously engraved from solid wood, these chopping boards are most suitable for chopping the vegetables comfortably. We offer them in varied shapes, sizes and finishes to opt for. We are globally appreciated for manufacturing, exporting and supplying a broad range of PE Rod Plastics for our clients. This material is manufactured under the supervision of our deft professionals using quality tested plastic and contemporary techniques. 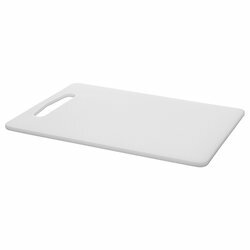 We are engaged in manufacturing of best quality White Plastic Chopping Board, that are widely preferred by leading hotels, restaurants and canteens.